LOVELY CONDITION, DRIVES GREAT, 3 MONTHS WARRANTY!! 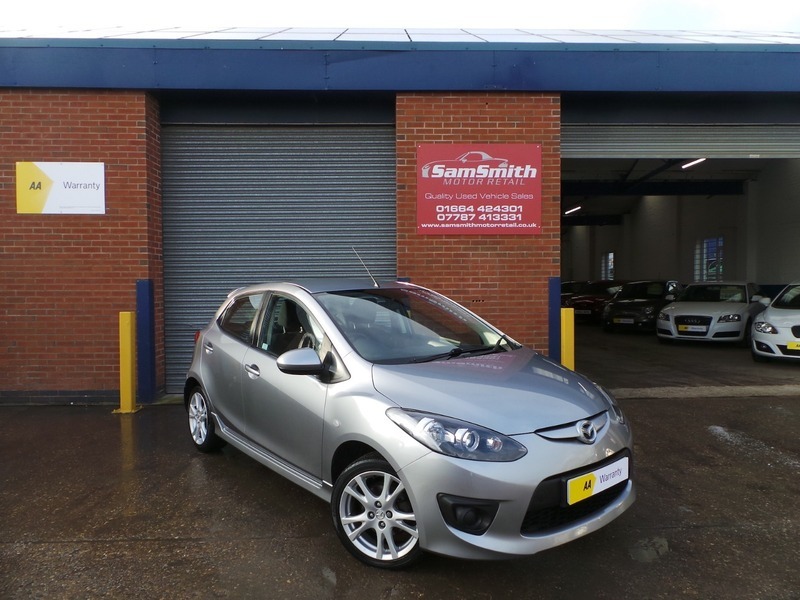 We are proud to offer another fantastic example of this Mazda 2. Fantastic Tamura spec with the sporty bodykit this car really does look superb. The car has just had the benefit of brand new front tyres, brand new front brake discs and pads, a new service and a new MOT with no advisories. Brilliant economy, performance and reliability from Mazda's 1.3L engine. Last lady owner since 2012 and the car is a real credit to her! All of our cars go through a very thorough workshop inspection, get freshly serviced if needed and come with a 3 month fully comprehensive (parts and labour) warranty and AA cover. Every car we sell is HPI clear with certificates to prove. LOW RATE FINANCE DEALS AVAILABLE. Open 5 days a week and weekends by appointment. Please call for availability & viewings.